Enjoy your favorite blend from us anywhere, anytime. 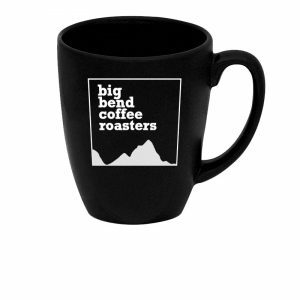 Our branded 16-ounce ceramic mug features the full Big Bend Coffee Roasters Logo in white. Grab a few for yourself or gift to someone special. Microwave safe. We do not suggest repeated dishwasher use.